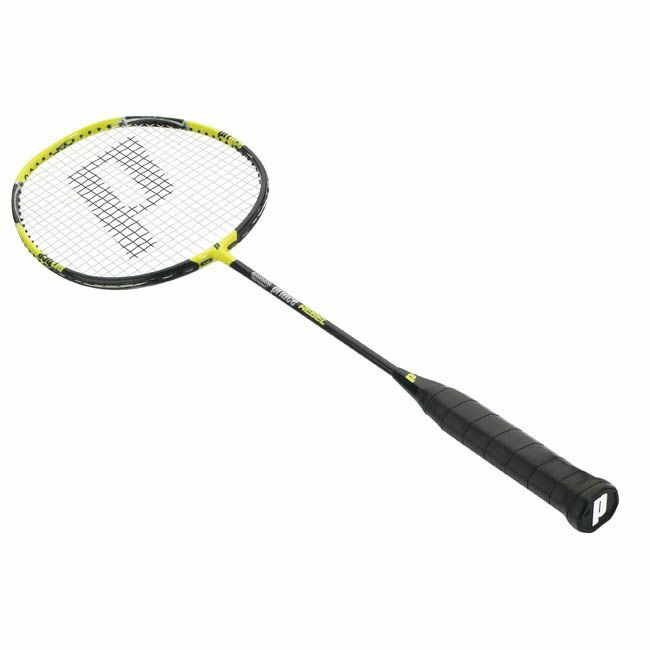 The Prince Triple Threat (TT) Rebel racket is ideal for players who want to generate extra power. The standard carbon graphite frame is reinforced at key points (2 and 10 o’clock) with a mix titanium, copper and carbon metal composite to strengthen the head, and again at the base of the handle. The impact is to produce a more stable and solid contact point to create a faster and more responsive bounce off the strings, generating more power. The low kick point makes this racket flexible and adds to the whip and power created to give the overall feel of a truly powerful racket. The single piece carbon graphite construction and isometric head shape maximise the sweet spot and make it easier to hit all shots well and with control, giving the Rebel a great overall feel and balance. A real value for money racket suitable for every level but aimed at those who want that extra power. for submitting product review about Prince Triple Threat TT Rebel - Badminton Racket.